While some manufacturers are still grappling with designs for their first 3D TVs, LG has surged ahead with creation of what it’s claimed is the world’s brightest 3D-capable telly. The firm’s succeeded in developing a 1080p, 23in LCD panel with “enhanced brightness” technology, which it said helps generate twice the on-screen brightness of a conventional 3D LCD panel. LG’s a little brief about the set’s technical specifications, but - to give you a rough idea – a 42in Philips LCD with 3D technology has a brightness of 500cd/m2. 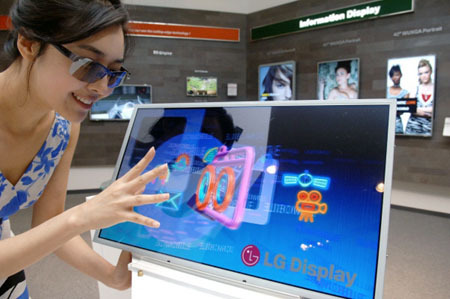 The LG screen’s superior brightness was achieved by embedding most of the technology required to produce a 3D image “directly in the panel”, LG said, instead of outside the panel or within viewing glasses.